With ESPN’s film OJ: Made In America emerging as an Oscars frontrunner this year, Onion Sports looks back at some of the greatest sports documentaries of all time. 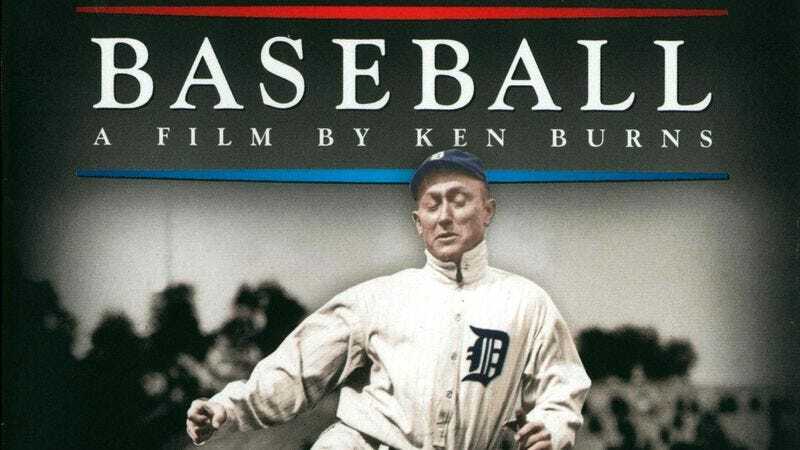 Baseball: Ken Burns’ 1,000-hour documentary follows the evolution of baseball from the Neoproterozoic Era 900 million years ago all the way to the 1994 MLB strike. When We Were Kings: An intimate account of the buildup to 1974’s Rumble in the Jungle that features rare footage of Muhammad Ali and George Foreman agreeing to split a multi-million-dollar bet if Foreman went down in the eighth. Murderball: This documentary on the violent but exciting sport of wheelchair rugby inspired thousands to go out and break their own femurs so they too could have a chance to play. Pumping Iron: Bodybuilding docudrama focusing on the rivalry between Arnold Schwarzenegger and Lou Ferrigno as they get into shape to compete for California’s single gubernatorial seat. A Regular Season: Camera crews followed the Colorado Rockies throughout their 2011 season hoping that a gripping story would emerge, but none did. Bones Brigade: Director Stacy Peralta manages to squeeze 90 minutes out of skateboarding. The U Part 3: The third installment in ESPN’s documentary trilogy about the University of Miami football program chronicles the team’s storied run from 2013-2016, when they twice managed to finish tied for second place in the ACC’s Coastal Division. Pressing Turbo: A film following the heartbreaking rise and fall of Madden NFL 07’s created character George Washington III’s career as an NFL running back. Last Chance U: The Netflix series was groundbreaking in its exposure of the occasional light side of football.